Will you be ready when the robots rebel? What will happen, if androids acknowledge that they deserve the same rights as human being? How will Felix, Net and Nika be able to get over the protest of machines? As usual in series “Felix, Net and Nika” you can expect terrifying story with heart-stopping implications for the robotic technology: the megadose of the humour, completely crazy adventures and… new ideas of master engineer Juliusz Stokrotka the director of the junior secondary school. Read, and you will learn, who is going to visit Nika, what kind of a secret Net is trying to reveal and whom Felix is arranging to date with. Much will happen! Felix, Net and Nika go for a winter camp to the pension “The Three Cousins” located in the forest, in the middle of mountainous nowhere and run by very weird old ladies. Old furniture and very odd paintings create a peculiar atmosphere and things get really scary when somebody starts walking around the house at night leaving strange surprises for terrified teenagers. The book, as all books in the “Felix, Net and Nika” series, is full of humour, spine-tingling adventures and twins and turns of teenage love life. Terribly tasty first polish horror for the young readers! An accidentally launched rocket is revolving on the circumterrestrial orbit and will soon fall onto Warsaw. Who will win the race against time? Three teenagers, scientists from The Institute of the Exceptional Research or maybe The Little Army? The ever-day reality of a Warsaw gymnasium, crazy events and inventions, great humour and a grain of seriousness - that is the recipe for the book loved that the young reader fell in love with. During the New Year’s Eve party Felix, Net and Nika accidentally launch an experimental cosmic rocket. Secret services are looking for perpetrators and situation gets even worse when it turns out that the rocket will fall somewhere on territory of Poland. The heroes of the novel must eliminate the threat. A race with time begins. At the same time everyday school reality does not make their task easier to achieve. The school strives for obtaining a quality certificate what leads to many absurd and very funny situations. Thanks to their common adventures Felix, Net and Nika will become even more convinced that friendship and helping people is what’s really important. USS “Ronald Reagan” comes into orbit of planet Ruthar Larcke with a rescue mission. Four hundred thirteen years earlier a spaceship being in search for new planets which could be terraformed disappeared in this area. Mission’s crew discovers new riddles: how is it possible that a planet one hundred twenty light years away from Earth is inhabited by a multimillion community of people? Has one of the crew members become infected with an alien life form? And is their mission really a rescue one? War, revolution, behind-the-scenes intrigues, unfulfilled love. Thrilling action of The Chameleon does not prevent important questions from being asked. Is killing a part of the human nature? Do the limits of human understanding exist? What is the nature of faith? The fascinating multi-layered story, full of riddles, secrets and unexpected twists of the plot will remain in reader’s memory for a long time. 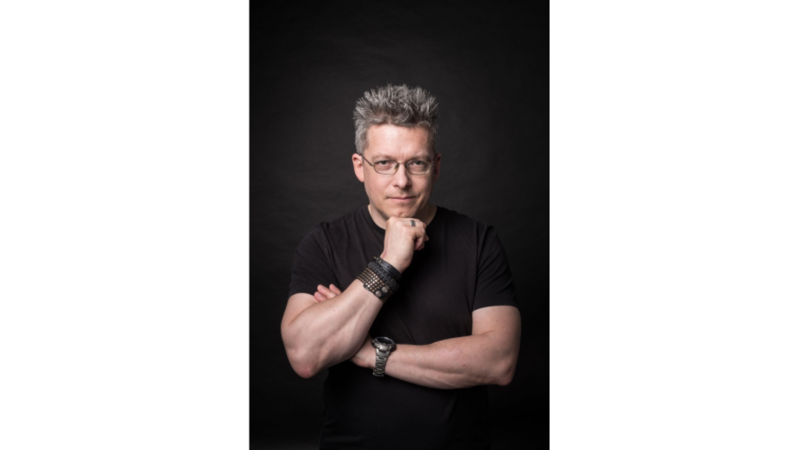 The book has gained The Janusz A. Zajdel Award (Nagroda imienia Janusza A. Zajdla), Sfinks in Polish Novel of the Year category and Jerzy Żuławski Literaty Award. 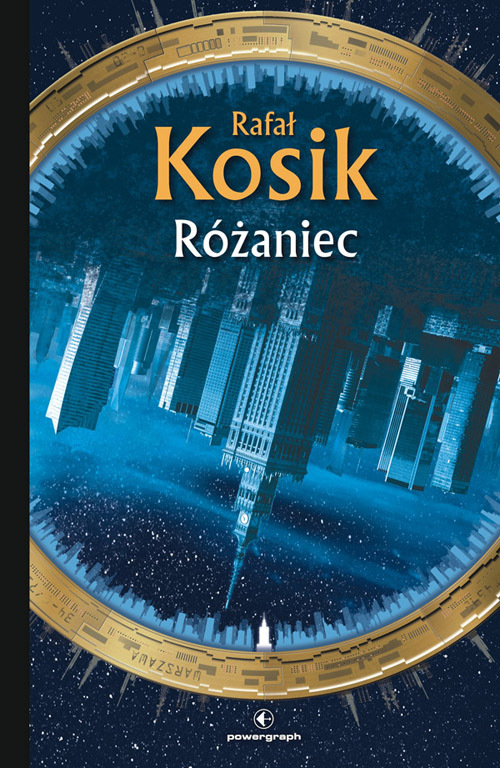 Also the book has won plebiscite Best Polish SF Novel. The three Warsaw junior high students come back to take on another difficult mission, this time against their will. During Halloween school party a mysterious Grim Reaper appears, beginning his perilous game of appointing the children to tackle one task after another. Although they try to ignore the Reaper at first the tangle of events affects their families and farces them to take the challenge. During course of events the students set on a trip to find a dwelling under the city monster thought to be Basilisk, visit abandoned house of a certain constructor, set out to find legendary treasure. Other challenges await the children during school competitions. In this part of the book our heroes have to meet family problems-Felix with grandma Lusia’s illness, Net with his brother or sister being born. Nika one more time has to hide from the world her secret. The book has been awarded the prize of the Little Dong by the Literary Competition IBBY Polish Section. Felix, Net and Nika solve a mystery of nightmares epidemic haunting Warsaw inhabitants. As the children find out it was triggered on purpose… but to discover who caused it they have to go inside the dreams and search for answers there. Felix’s inventions, Nika’s exceptional intuition, Net’s talent for maths and Manfred, an AI system help them get out of numerous troubles. While the children try to save the tormented inhabitants, a campaign before school self-government elections is taking place and Felix is one of the candidates… against his will. The book was nominated for the Prize of the Book of the Year 2007 by the Literary Competition IBBY Polish Section. The world doesn’t look the way it should but if you have spent your whole life in it, you probably don’t notice it. 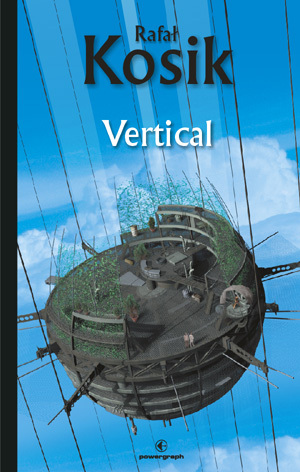 In “Vertical” cities attached to steel ropes are inhabited by people searching their vague Goal. They are unaware of the past, have no interest in the future. Only one man tries to figure out the nature of this world as his intuition tells him that surrounding vast Sky is not the best place to live. In order to solve this puzzle he decides to risk everything he has, including his life and find those who constructed the cities. It is a journey full of unexpected discoveries, a trip towards death and new life. In 2006 The book was nominated for The Janusz A. Zajdel Award (Nagroda imienia Janusza A. Zajdla). It is the annual award given by the Polish science fiction & fantasy fandom for the best stories published during the previous year. 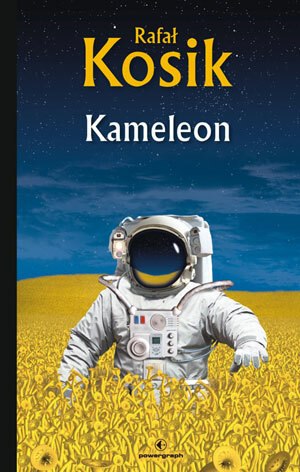 In 2006 the book has gained Nautilus Award Polish science fiction and fantasy award created by Robert J. Szmidt of the Science Fiction magazine. Each year, five novels and short stories are recognized. “Felix, Net & Nika and Theoretically Possible Catastrophe” is a full of humour adventure novel for young readers. Its heroes - junior high students are dragged into a string of mysterious events. They come across big carnivorous plant, accidentally turn on some strange machine for years hidden under the ground, try to prevent air crash and go on tour on flying sailing ship… and that’s just the beginning. At the same time they have to solve difficult puzzle that would allow them to come back home. It is not en easy task as they are chased by mysterious ghosts and even more mysterious MIB. Felix’s inventions, Nika’s intuition, Net’s mathematical skills and Manfred - AI system - let them safely get away from troubles. 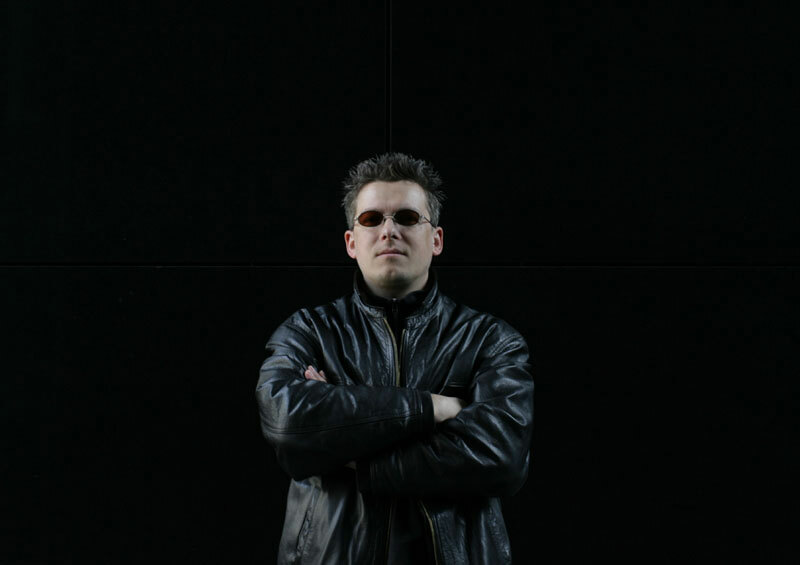 The book is written with young language, the plot submerged in Polish everyday reality. One adventure chases another and the book is to be read in one go. This book has also been awarded the Prize of the Book of the Year 2005 by the Literary Competition IBBY Polish Section. 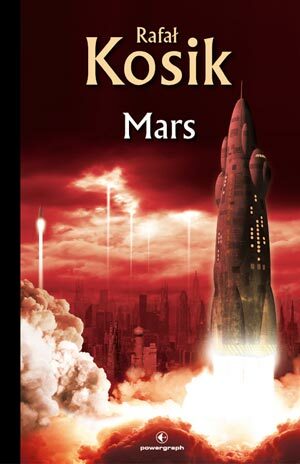 Settlers for centuries arriving in Mars have built cities, established civilisation. They emigrated from the overpopulated Earth in search for a new, better world, space and work. It is said that I was born on 8 October 1971 in Warsaw.